It began in 1908 as a 9-hole course which was laid out by J H Taylor, the well known golfer and course architect. The Course was later extended to 18-holes in 1910. The overall cost of the land, building of the Clubhouse, laying of the course etc. was £3000. The original Clubhouse, although of corrugated iron construction, was comfortably furnished. The Selsey Tram operated between Chichester and Selsey from 1897 to 1934. For the benefit of members, the Chichester and Selsey Tramway Authority installed a halt at the links, which was known as Golf Club Halt. In the 1920's and '30s, the Club was open during the summer months only, back then the Club catered for a rather close knit syndicate who owned summer homes in the village, many of them working in the Colonies and returning to Selsey for home leave. Six grass tennis courts were laid and it became known as the Selsey Golf and Tennis Club. The original Clubhouse was destroyed by fire in February 1934 and, with planning permission being less stringent in those days, the present Clubhouse was soon built and was officially opened in July of the same year. 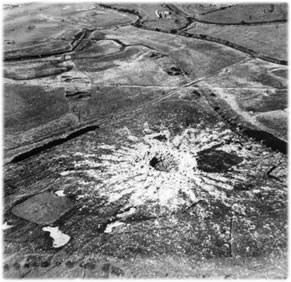 The war took its toll on Selsey including a visit from the Luftwaffe on the 26th June 1941 when a parachute mine was dropped leaving a crater 64 feet in diameter. This crater gradually filled with water, and over time became a beautiful pond and is now a lovely feature of the 8th and 17th hole. The Course was kept open, but with a reduced number of holes. 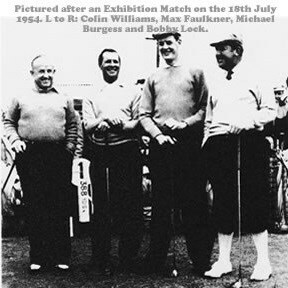 In 1949 the course was bought by Max Faulkner and his father Gus. Max Faulkner became Open Golf Champion in 1951. (Few clubs can boast an Open Champion!). 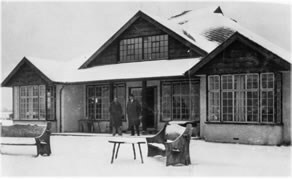 In 1957 the Faulkner's sold the lease to the Wickens brothers who developed part of the land into a Holiday Chalet Complex. This meant a revision of the course back to 9-hole and the course has stayed pretty much the same since. In the 1960's there were some changes to the Clubhouse, mainly the installation of the present Bar. In the early 1980's Little Spain Holiday Chalet Complex purchased the complete course and began a general up grade that continues today including: Refits to the Changing Rooms, Showers, New Pro Shop, hard court Tennis Courts and a Bowling Green.